Because the ethical argument was not strong enough for you to bring in a minimum-bet limit for corporate bookmakers last year, I will set them aside and give you the regulatory and marketplace conditions that support Racing Victoria implementing a minimum bet limit when you evaluate your Race Fields Legislation mid-way through this year. So I wrote to Racing Minister Pakula and presented him with your words. Minister Pakula responded with “RV is responsible for setting appropriate conditions for WSP’s operating on Victorian thoroughbred racing. If RV were to make similar changes as NSW to its Race Fields Policy, I would consider any request to underpin such a regime with legislation”. Minister Pakula finished with “I expect RV to continue to monitor the impact of the changes in New South Wales and make any necessary changes to its Race Fields Policy to ensure there is a competitive balance between punters and bookmakers”. If you genuinely do believe punters should be able to have a chance to win when punting on Victorian racing, then the minister has set proper framework for you to pursue it. It’s obvious he will back you up with the full force of the Govt. if you implement a minimum-bet law. Since you placed min-bet in the too hard basket last year we have seen nothing from you in terms of working with the State Govt. towards a resolution for punters. If you try and fail with State Govt. support we can accept that – but you doing nothing we can’t. Legal impediments and procedures are no longer an excuse to not introducing a min-bet law. All major corporate bookmakers in Australia; Sportsbet, TabCorp, Ubet, Ladbrokes, UniBet, Bet365, Topsport and Crownbet, along with all minor corporates have respected and adhered to RNSW’s introduction of a minimum bet law some 18 months ago. The only major corporate not to is the unconscionable William Hill – and that is partly due to Waterhouse arrogance, and partly due to the current taxation system. Your three major corporate bookmaker partners; CrownBet, Sportsbet and TabCorp, already bet all legitimate punters to win at least $1,000 on all Victorian racing. Your joint venture partner TabCorp COO Craig Nugent, commented on RSN Radio when asked about winning punters “We want all customers. We want to give sophisticated gamblers the very best of content, the very best of information. There is a problem currently in the sophisticated market and we think there needs to be a solution”. Both the Australian Bookmakers Association and the Victorian Bookmakers Association fully support you introducing a minimum bet law. 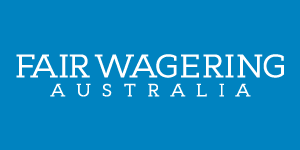 The only opposition has come from the 100% foreign interests of the Australian Wagering Council (AWC). The best reason against introducing a minimum-bet law they can come up with is that winning punters take the best odds which disadvantages losing punters who receive worse odds. A deeply embarrassing notion. And deeply insulting to the intellect of all Australian punters. This notion is so obviously against Racing Victoria ideals. It would be akin to you telling Damien Oliver to ride with an extra 3kg in races to bring him back to the field. Of course, anyone who understands fixed-odds market dynamics realise that when a winning punter backs a horse, that horse does firm, but that pushes the price of other horses out creating better value for the losing punters that the AWC is so worried about. This dynamic is paramount to driving turnover. Further, the conditions of RNSW min-bet laws only allow winning punters access to markets from 9am on race day. Fixed odds markets have usually been up for 24 hours prior to that with all corporates – plenty of time for unrestricted punters to have unfettered access to all odds. RNSW min-bet conditions are very favourable to bookmakers. We would accept the same set of conditions from you. You give bookmakers a licence to lay every runner and take a margin for themselves. The AWC believe that modern bookmakers should find losing gamblers and take their money. You have a responsibility to the community to not allow them to change the narrative of what modern bookmakers are licensed to do. I support your current tax structure. It is the most expensive fixed-odds tax punters and bookmakers have ever faced – but it is justified in the face of the massive migration from tote to fixed odds. Racing’s funding must be secure during this migration. William Hill claim that they can’t bet winning punters because of the impost of your current tax structure. But William Hill are welcome to, and should, pass on the 1.5% – 3% turnover tax you placed on them onto the punter via their fixed-odds markets. We can handle that. If it means we win a little less, or lose a little more each year, so be it. Racing’s funding must always come first. Your turnover tax doesn’t really suit corporates betting best tote. But best tote doesn’t suit racing’s funding and it also is irrelevant in the min-bet argument as it doesn’t include best tote betting. I think William Hill are failing to separate the two. William Hill’s problem is not turnover tax, rather that they paid way too much to gain access to the Australian market. William Hill’s 2015 results were very interesting. They “implemented client management and trading changes to address unprofitable turnover following race field fee increases.” And were hammered with 20% drop in turnover and 41% drop in net profit. A terrible result for William Hill and a bad result for Racing Victoria. Sportsbet, who have embraced a fair market place had polar opposite results; revenue up 46%, profit up 78%. Unequivocal evidence that you need an unrestricted marketplace. I do feel that charging bookies turnover or gross-profit tax on a per meeting basis is very unfair and does nothing to encourage turnover and needs to be addressed. The mechanics of it are simply too hard for bookmakers to manage. Winning punters are your best customers. Whether it’s Race 1 at 10am on a heat affected day at Echuca, or Race 10 on a bitterly cold autumn night at Cranbourne, we’re there turning over money for you – trying our best to back a winner. Yet, it feels we get no support from you. If you introduce minimum bet laws, the short term financial implications for the industry will be negligible – but long term it will have a massive impact. Because this generation and the next generation of winning punters (your best customers) won’t be extinct and the legacy of the punter bookmaker contest that is such an important part of Victorian racing’s history will be intact. The chorus of disenchanted punters has doubled in the last year and will continue to multiply until you act. When Treasurer Scott Morrison announced the review which you are chairing he said “I have deliberately left the terms of reference broad to ensure former Premier O’Farrell can look at everything he needs to, with no preconceived notions.” Therefore I have perused your review’s terms of reference but also formed my submission around what I believe to be the most important issues – from a punter’s perspective – for the Federal Government to consider. Minimum Bet Limits; It makes my blood boil when I see the blanket advertising Corporate Bookmakers throw at major sport in Australia knowing that the majority of them believe their bookmaking licence to be an entitlement, where the punter is merely fodder for their bottom line. Any punter that is not considered “economically viable” to a bookmaker has their account closed or severely restricted. Bookmakers offer people the opportunity to win money – that’s their product. They must be forced by the Federal Government to be true to this. Punter outrage over the last couple of years has led to some change from a minority of Corporate Bookmakers but there is still a long way to go. The bookmaking industry in Australia has been hijacked by foreign raiders who are intent on expanding the highly unethical business practices they have been allowed to get away with – mostly in U.K. and Europe – by ignorant, complicit regulators. These practices have had serious negative social impacts. The Federal Government must stand up to them. They are welcome here – but it must be to Australia’s advantage. Your review must either recommend introducing minimum bet limits for all Australian Corporate Bookmakers or explain to the Australian public why gambling should be allowed in society when no one can actually win at it? Illegal Offshore Wagering; the biggest threat is money being leaked to Asian betting exchanges. Punters are turning to these because they can’t get their bets on here because of account closures and restrictions but also because of the outdated, non-competitive structure of tote betting in Australia. Your review should begin talks between TabCorp., Tatts Bet and racing regulators about drastically overhauling tote-takeout rates. Tote-takeout rates of 18-20% are simply not viable long term in the digital age when compared with sportsbetting which has take-out rates of 3-5%. Many punters in Australia who have been barred by Corporate Bookmakers can bet on Asian betting exchanges and receive between 10-24% commission back on their bets. All punters want to support the Australian industry but when we have been treated so poorly for so long, betting with these Asian exchanges is most compelling. I was heartened to hear you recently on RSN Radio say that Racing Victoria will consider Minimum Bet Laws for corporate bookmakers in May when you renew your race fields legislation. It’s so important that RVL introduce and legislate Minimum Bet Limits and ban account closures. It’s incongruous that ingenuity and a pursuit of excellence is nurtured and sought as a priority in every aspect of racing except punting. The highly sophisticated industry that RVL is pushing towards must consider and protect punters into the future. Fixed odds wagering is booming and is heading towards – in-terms of revenue for the industry – becoming an equal funding contributor as tote betting. Tabcorp just released half yearly results where fixed odds revenues were up 33%. Fixed odds revenues are up because that’s how punters want to bet these days – in particular the next generation of punters that RVL has been vocal about attracting. I’m part of that next generation; we’re smart and we have an abundance of information and computers available to us that previous generations didn’t. And that’s given so many more punters the opportunity to win on the punt – which is a great thing. But there’s no point to this “digital revolution” and initiatives like your own racing.com, if punters can’t at least potentially monetise this wealth of info. I heard you on radio this morning talk in particular about RVL trying to attract 18-25 year olds as a priority. You went on to affectionately label them as “the next generation of race goers and my children” and how important it is that they learn about racing and engage with it. If RVL don’t act against the current corporate bookmaker climate, “your children” will be engaging with a gambling market that is a one-sided massacre akin to poker machines. Strong but realistic language. The entire industry, from the Australian Racing Board to media commentators, right through to the tens of thousands of industry participants are tired of corporate bookmakers rapacious conduct, because Australian racing is based on integrity and fair go for all. On-course betting rings have always been regulated and fair, which is why we have the strongest marketplace in the world. RVL should act for no other reason than to impose the same regulations that they have placed on on-course bookies for all of time. You would no doubt have had meetings with the Australian Bookmakers Association, who have waged a long, patient and considered campaign to level the playing field for the hundreds of on-course bookies they represent, who face the most headwinds of all wagering operators. The marketplace has improved slightly in the last year. And some corporates have listened to the industry and are now running equitable, fair and profitable businesses. And there has been a minute minority of corporates who have always run fair businesses. But there is still a number of large foreign corporates who believe their bookmaker’s license is an entitlement, and they shouldn’t be saddled with the competitive forces that every other business in Australia faces. A bookmakers license is the privilege of framing a market with the percentage in your favour, and going about laying every runner to make your margin. This seems to have been forgotten. I acknowledge that the fractured state of national racing administration has made this issue a complicated one. But you have the resources to to act and I guarantee it will be to racing’s betterment. You will face push-back from disgruntled corporates who may argue that the new tax regimes have made it too hard for them to service “low-margin clients”. But that’s simply because they misread and over invested in the Australian marketplace. That’s not RVL’s problem, and it’s not the punter’s problem. This issue will never go away. If you don’t act the industry will continue to be deprecated as people like me speak out against it. I don’t wish to be an antagonist, I just love racing and want a fair go. There’s two types of punters in Australia; those who win and those who aspire to win. If RVL don’t act for all punters in May you will be telling winning punters to invest elsewhere, and aspiring winning punters that they are welcome so long as they lose. What happens when the aspiring winning punters realise that they’re just fodder? You run the strongest racing jurisdiction in the world. All punters love racing in Victoria and want to support and engage with it – but Racing Victoria need to support us.